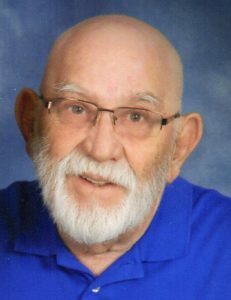 Max Buell, 78, North Webster, passed away on April 15 while in Florida. He was born on June 5,1939 in Warsaw to Clifford & Elizabeth (Williams) Buell. On June 21, 1990 he married Ruth Reger, who survives. He retired from the Ball corporation where he worked in Muncie as well as Westninister, Colo. He also drove a school bus for many years. He was a member of the North Webster United Methodist Church. He was a 32nd Degree Mason, Mizpah Shrine, as well as Murat Shrine where he served as Shrine Clown. He was also a member of the Indiana Vintage Snowmobile Club and past President of the Indiana Snowmobile Association. He was a US Army veteran. He is survived by his wife: Ruth Buell, North Webster; six children: Jill (Phil) Hasiak, Munster; Mark Buell, Munster; Kathy Buell, St. Pete, Fla.; Eric Buell, Maple Falls, Wash.; Amy (AJ) Hanna, Greenwood; and Erik (Art Navarro) Brooks, Indianapolis; three grandchildren: Matthew Hasiak, Katherine Hanna, and Benjamin Hanna. There will be a graveside service held at 11 a.m. Friday, June 22, at Oakwood Cemetery in Warsaw with Pastor Byron Kaiser officiating. A reception will follow from 1 to 4 p.m. at the Buell residence at 317 S. Mulberry St. North Webster, IN 46555.